Adult / Teen = 13 + years. Price shown is per person. Child = 7 - 12 years. Price shown is per person. 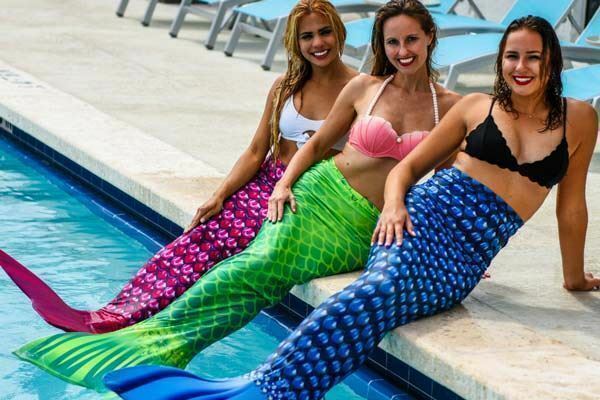 Combine artistic expression with a fun way to keep fit …in a mermaid’s tail! 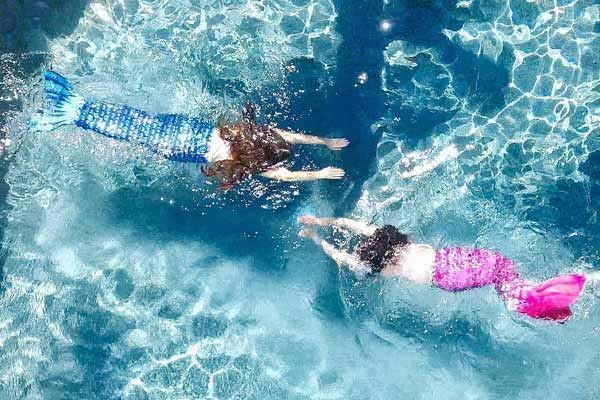 Aqua fun for both adults and kids! 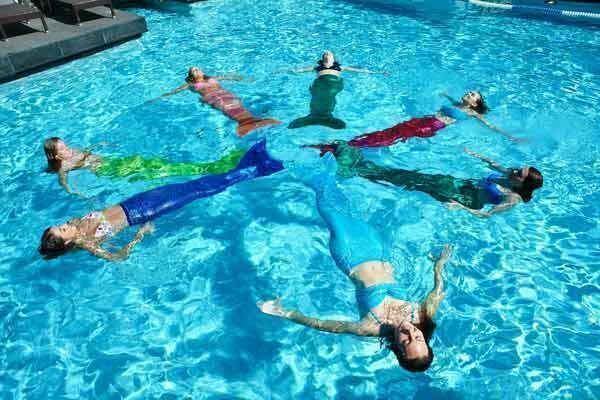 Dive into the mermaid dream with a 1-hour introduction to synchronized and monofin swimming. 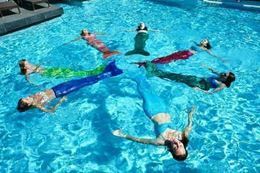 The Mermaid Swimming Class is a fun, safe, structured activity. You’ll learn how to swim like a mermaid using both legs as a mermaid tail and your core muscles to propel forward. 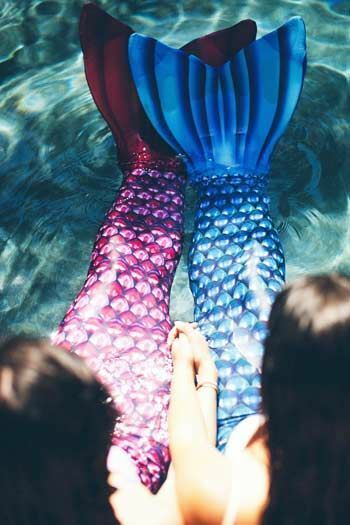 You'll be surprised at the power and speed behind the mermaid's tail. Mermaid monofin: The monofin has a foot pocket with adjustable straps. 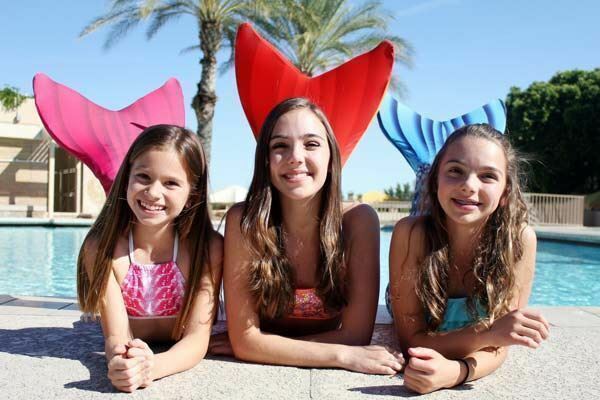 It is flexible and follows the wave movement of your body. The fabric is stretchy and breathable with a zipper on the side to allow quick and easy access for safe removal in the water. 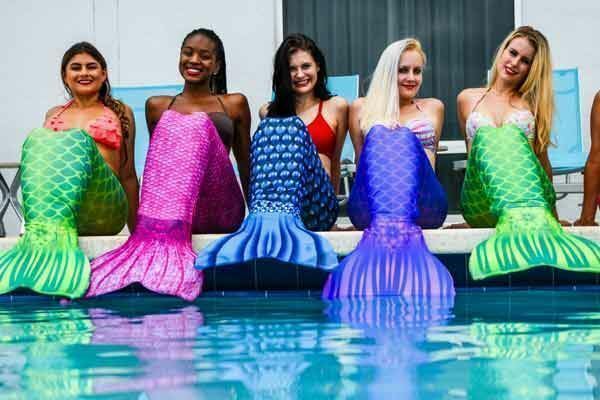 5 minutes Tails selection, how to wear and take care of your mermaid tail. 10 minutes Swimming level evaluation and swimming warm up without the tail. 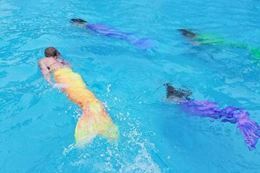 5 minutes Swimming with the mermaid tail and floaters. 10 minutes Swimming without floaters. 5 mininutes Mermaid Games and free swim. 5 minutes Opportunity to take your own photos. Minimum age for participation is 7 years. No previous diving experience is necessary. All participants must be confident swimmers. Wear a comfortable bathing suit (one or two pieces are good). Make sure your bathing suit allows you to move freely. Avoid eating a heavy meal 2-hours before the class. It is recommended you bring goggles, towel, and lock. Lockers are available free of charge for your cell phone and other personal belongings. Parents, family and friends can watch the class from the other side of the pool windows in the waiting area. The 10 last minutes are reserved for free swim. Family and friends are welcome to the side of the pool to take pictures. 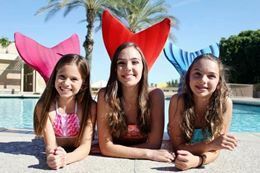 Whether you are looking to get in touch with your inner mermaid, a new experience like no other, or for a unique gift experience then this Las Vegas Mermaid Swimming Class is it.